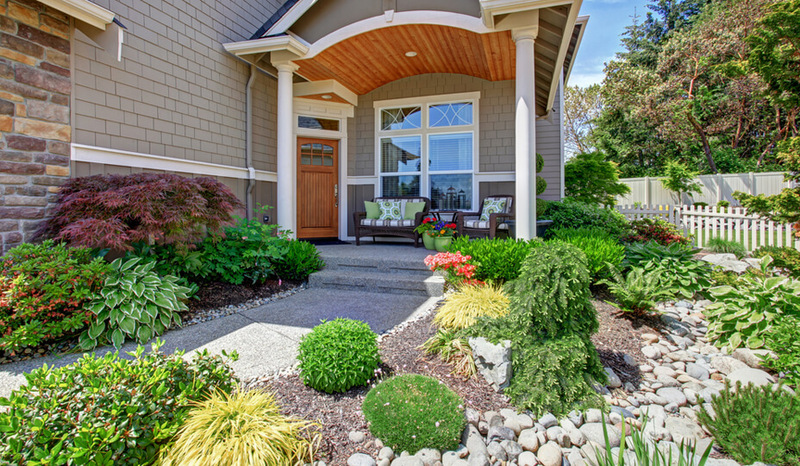 A landscape facelift can change the whole look of your home. It's sort of the signature of your house, from the front to the back. It's a space where you can relax on sunny days sunbathing, enjoy a good meal or a drink with friends, have fun in a play area with the kids, etc. The possibilities are limitless to adapt to what you are really looking for. As part of your decision-making, you will need to choose a contractor you can trust to ensure your landscaping vision becomes a reality. This is where Reno-Assistance comes in. We take the guess-work out of determining the suitability of a landscaping contractor to work on your project by providing you up to three quotes from our 360° Verified contractor network. These contractors have been vetted via our team to determine their past work quality, client references, financial stability, insurance validity, legal history, etc. so you can be sure you will be hiring only the best. 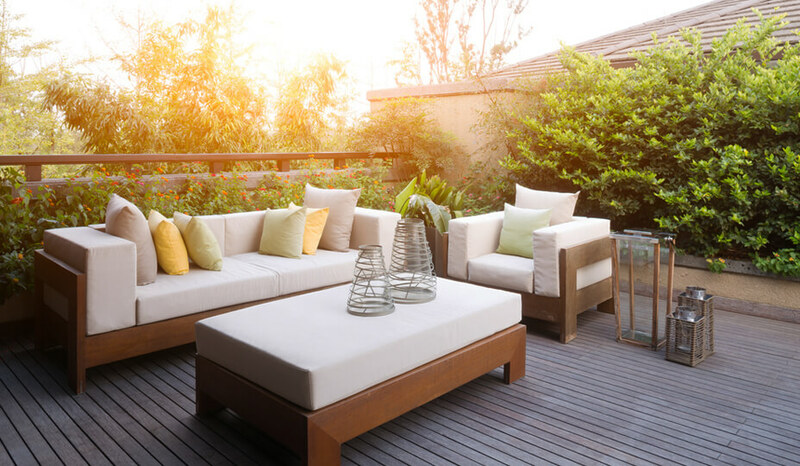 Your dream yard can have an incredible impact on the exterior appearance of your home, improving your quality of life while making your home more attractive. But where to start? 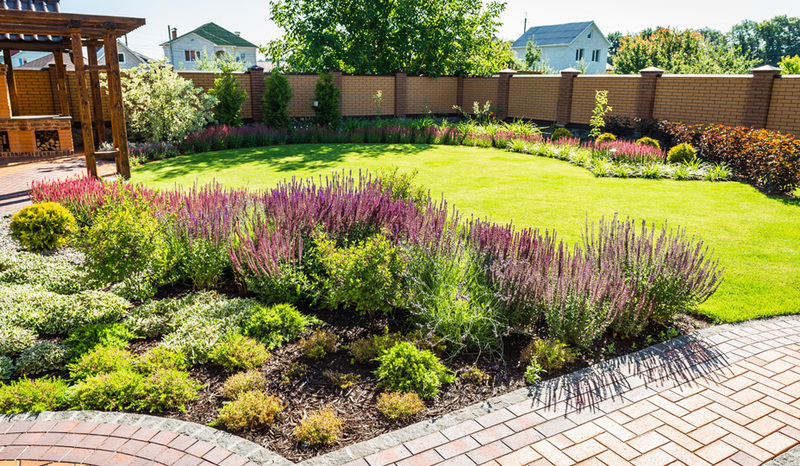 As with most things in life that require a financial investment, extraordinary landscaping requires a layout plan tailored to your taste before you start any work. 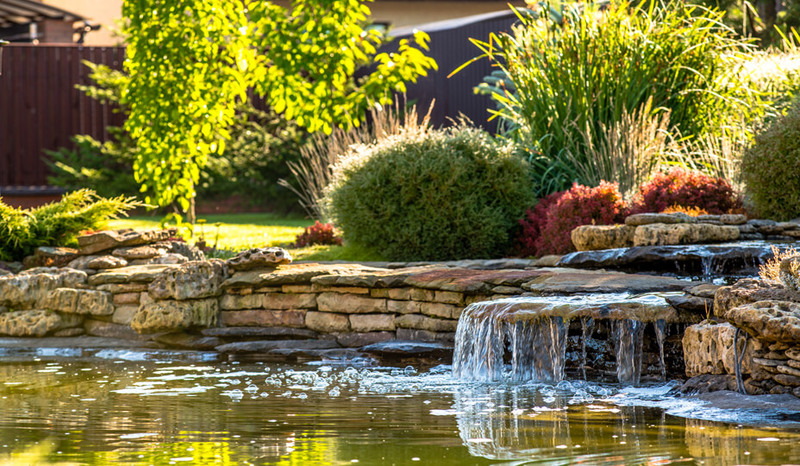 We will find you an expert landscaper who will do everything possible to make your landscaping project a success and your outdoor space look just as it does in your dreams. 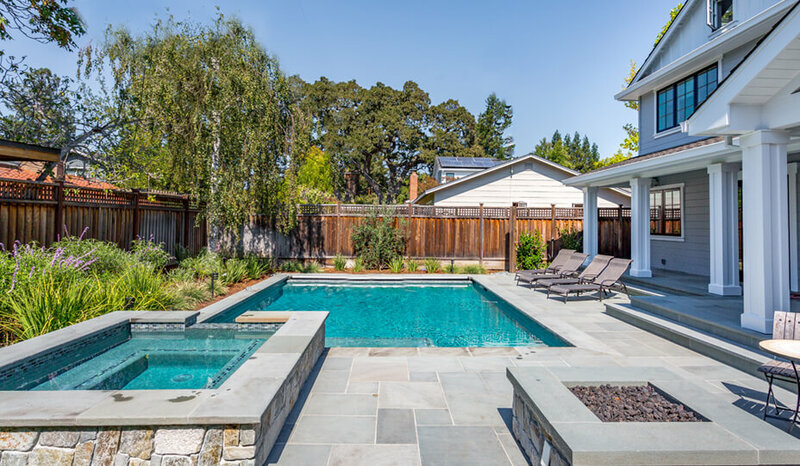 If you ever want to have a backyard comparable to those you see in the movies, with an incredible fountain design, a natural stone bar, breathtaking dining area, patio area and a superb finish, you need a landscape architect. This is an extra service that needs to be taken into consideration in the initial stages and will require an additional investment, as with a house plan. 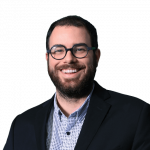 These experts would come to you with an out-of-the-ordinary plan that will charm you according to your tastes. Obviously, it's not 100% necessary to utilize this type of service for your project. However, if you are able to allow for this additional investment, you will not be disappointed. You always have the possibility to design your plans directly with the contractors who also will be able to suggest several different options. This is the same principle as with a home interior design. It is possible to ask for fitting/decorating advice from a contractor who has a lot of experience and who has seen and done all sorts of things. However, if you compare his interior and decoration services with those of a designer or an architect, the result will likely not reflect the same quality. If you decide to redo your entire outdoor area, why not take advantage of it to redesign your balcony, deck, patio or porch? Whether it's to refurbish it, to rebuild its envelope over the existing structure or to sand and paint again, this would give a new breeze of freshness to your residence. Recognized for its durability and hardness, concrete is a choice often selected by people who do not want to complicate life with its maintenance. It is possible that, for aesthetic reasons, you should apply a layer of concrete dye once every 5 to 10 years. This covers any stains that would have affixed to it over time. Otherwise, you will have nothing else to do to keep it in good condition. Due to its weight, this type of balcony, gallery or deck must be built on foundations and bases more solid than average. Aluminum can provide several advantages over other types of materials for your balcony. First of all, this material is lightweight, resistant to corrosion and moisture, which means it will not swell or shrink during the years following its installation. It does not require any special maintenance to retain its look and finish! In short, it is a simple and easy turnkey solution if you do not want to add extra worries to your life. For the balconies and the decks made of wood, you have options of treated wood (cheap) and the red cedar or the Ipe wood (which are the two most common high-end products). Depending on your budget, these all have their advantages. Treated wood is very affordable, however, it requires greater maintenance as it weathers considerably over time. On the other side, red cedar is harder and absorbs less moisture, which reduces the risk of cracking. The Ipe wood is renowned for its hardness, strength and fine finish. In other types of materials, you can find fibreglass which is very cheap. It has an average lifespan of about 25 years, which is fantastic considering its low cost. There are also composite materials which are the perfect turnkey solution if you want the look of wood, with the hue of your choice and which require next to no maintenance over time. 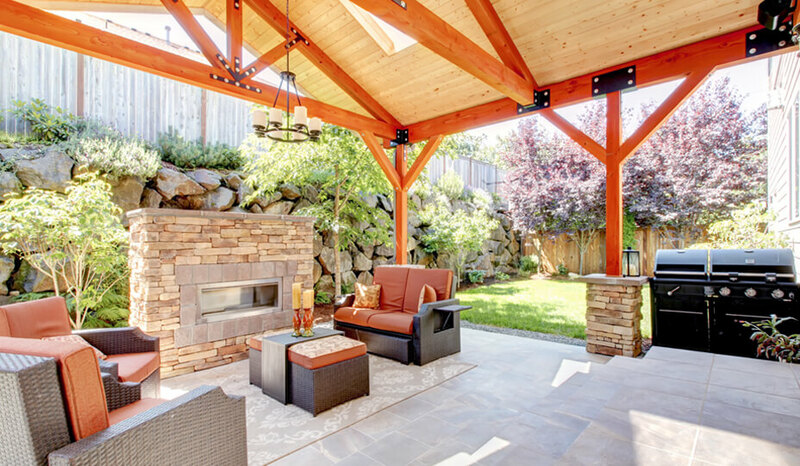 With the contractors who will be referred you, you will find several possibilities of patios possible. First of all, there is the classic cobblestone. When properly installed, its lifespan can be very long. It is possible to choose from several design choices that could harmonize with the style you would like. Then you also have the option of stamped concrete that can be fashioned your way. Stamped concrete is implemented by initially pouring concrete and in the following seconds, applying a mold in order to form a design in the concrete. For a prestigious look, you could also opt for natural stone on the ground. Your porch, in reality, is one of the most visited places in your home. It's your point of entry and exit every day. It's also the first impression you give to all the people who come to visit you. Therefore, it's important to keep this place in good condition and reflective of your image (unique, stylized, modern, etc.). Several options are available to you for this part of your home and nothing forces you to limit yourself. Experienced contractors will be able to propose several different solutions. Get up to 3 competing quotes, free! Talk to one of our Renovation Advisors today! Receive visits and quotes from up to three specialized landscapers for your outdoor project. Your advisor will help evaluate your needs and will find the best local landscapers in your area to discuss your project. They'll provide a competitive estimate. 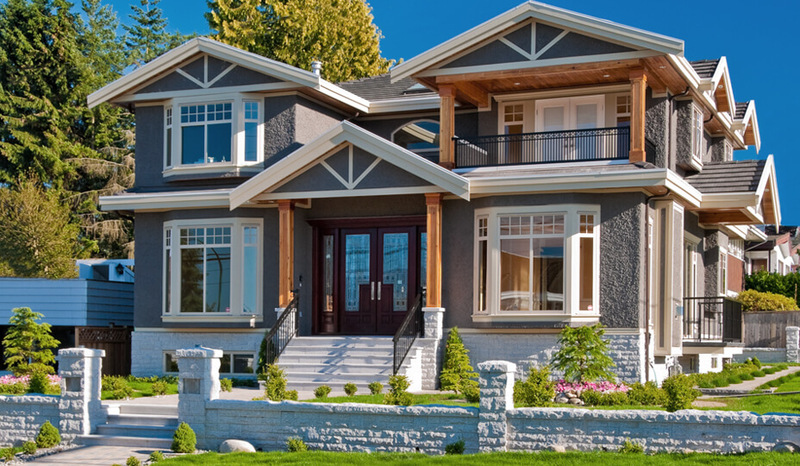 Our entire process is free, from your first conversation with an advisor to the full completion of your project. So you have nothing to lose... and everything to gain!